About two years ago, Italo-Swiss real estate entrepreneurs Daniele Longoni and Mario Chiancianesi announced bold plans to resurrect Bimota. We cheered at the prospect of this unique motorcycle marque, so full of spirit and tradition, finally flying high again after years of hesitating leadership. The agreement with BMW to supply the terrific S1000RR engine, plus the rapid evolution of the BB3 Superbike project, only served to reinforce our good feelings. The Bimota BB3 was allowed to enter the WSBK series in a sort of R&D agreement with sanctioning bodies, but no points or official standing. Though the racing program of the BB3 was handled by the winning Allstare Team of Francis Battà, the bike did not shine much at the racing track. But we all thought that teething problems were natural at the early stage of a racing career in a highly competitive arena like World Superbike. Then came this bombshell news, which shattered the hope of all Bimota supporters: Bimota had not completed payment for all 150 engines needed to comply with WSBK rules. Suddenly, Bimota was in trouble again. The company’s stand at EICMA 2014 was small and cheap, their press releases inconsistent. I tried to contact Longoni for a meeting, but he was not in Rimini when I was there. And when I told them I’d be available for a meeting at their headquarters in Switzerland, I received no answer to that email. Now there are rumors about the present owners selling Bimota to a new concern formed by Italian enthusiasts. But I’ve heard that even that deal is dead, and that maybe one of the two Italo-Swiss partners will liquidate the other and proceed on his own. This needs to be confirmed. I hope someone answers my email soon to clarify this situation, which does not look healthy at all for Bimota. Bimota boss Daniele Longoni got back to me by email today. 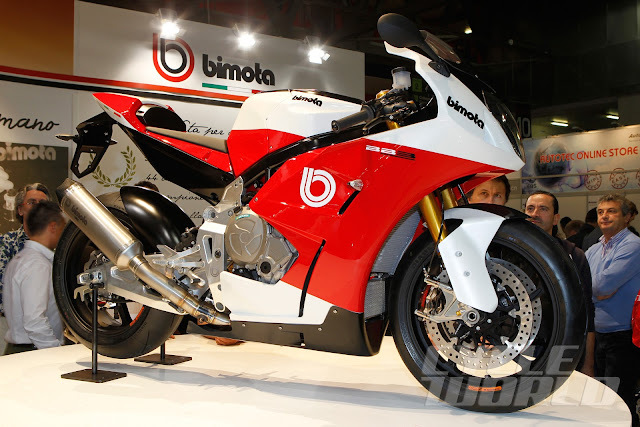 In two separate emails, he confirmed that Bimota is stirring a lot of interest from various groups. But at this stage, he says there have been no negotiations that might imply the sale of all Bimota stock, or part of it. No mention was made about the rumors regarding the acquisition of the whole company either by himself or by his partner Mario Chiancianesi. In my emailed reply, I tried to get a clearer understanding of what “a lot of interest from various groups” meant. Also, did this imply that Bimota indeed was on the market somehow, but without an official offer? Longoni’s reply was sharp. He said he never intended to put Bimota stock on the market. What’s more, the interests he referred to were generated by Bimota’s positive sales results. 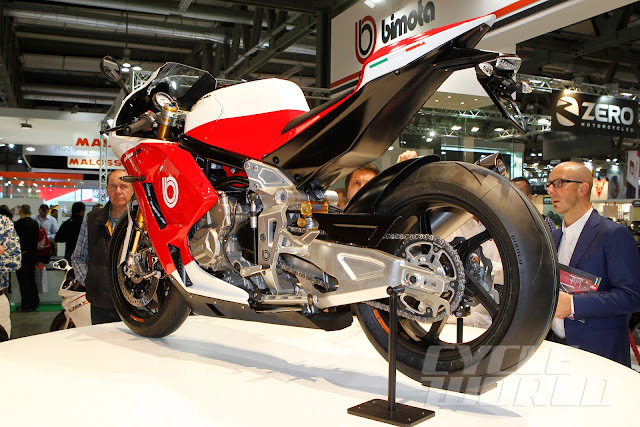 He also stated that Bimota will unveil some new bikes at the EICMA show in November. No sales figures were confirmed. I took note of Daniele’s statements, but I still hope for a meeting with him. While searching for factual information about Bimota (not the ever-persistent rumors), I learned something new: Pierluigi Marconi, who started his engineering career at Bimota after he graduated in Mechanical Engineering with his Tesi thesis, is back at Bimota as Technical Manager. And he’s hard at work building the bikes for EICMA.